The long holiday weekend found us at Fort Richardson State Park and Historic Site near Jacksboro, about a two-hour drive from our home. The fort was the northernmost post of a line of forts that stretched from the Rio Grande to the Red River. Its primary purpose was to subdue the native Plains Indians and force them onto reservations in Oklahoma. Built in 1867, the fort was named in honor of Union General Israel B. Richardson, who died as a result of wounds he sustained at the Battle of Antietam, in November 1862. Within 10 years, it became the largest U.S. Army installation in the nation, with 666 occupants. Soldiers at the fort maintained the post, guarded the military road, and assisted local law officers. In July 1870, Fort Richardson’s troops were ambushed by Kiowa Chief Kicking Bird and his men at the Little Wichita River. As a result of the battle, 13 men of the 6th Calvary received the Medal of Honor for gallantry. By 1872, Col. Ronald S. Mackenzie was authorized to begin offensive operations against the Comanches and Kiowa. Within two years, both tribes were defeated by Mackenzie’s troops, bringing to an end the Indian raiding that had necessitated the fort in the first place. It was abandoned in 1878. The 55 structures soon fell into disrepair, and by the early 1960s, only a handful remained. The fort was declared a state historic site in 1963, and extensive renovations began in 1968. 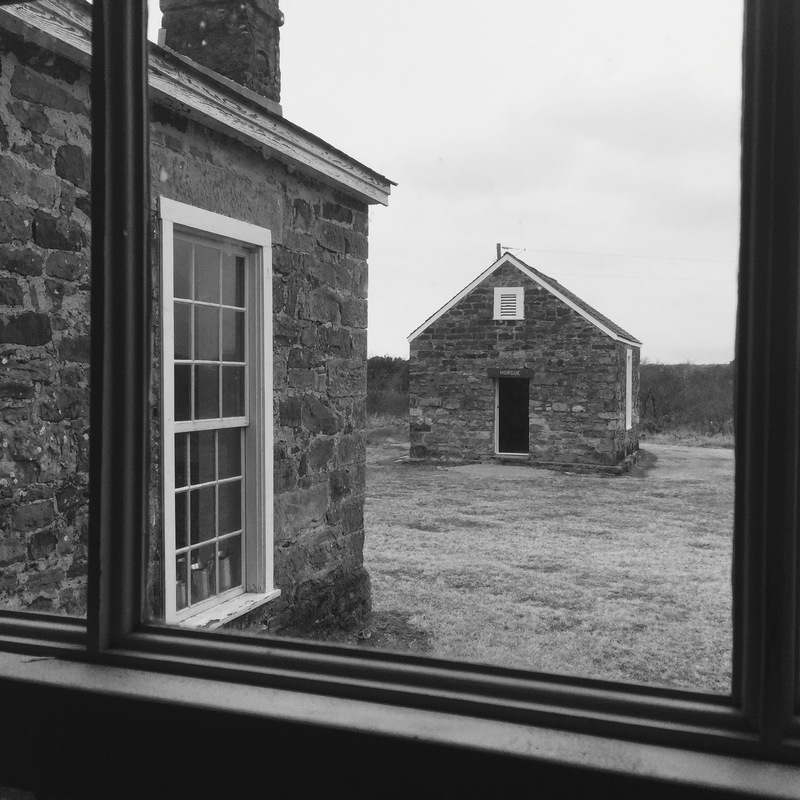 In 1973, 95 years after its abandonment, the fort opened once again, this time as a Texas State Park and Historic Site. Visitors can tour seven restored original buildings, including the post hospital, officers’ quarters, powder magazine, morgue, commissary, guardhouse and bakery. There are also two replica buildings of the enlisted men’s barracks and the officer’s barracks, which houses the Interpretive Center. Our group took a guided tour of the site on a blustery, overcast morning, which provided a fitting lesson about the hardships soldiers endured on the frontier. Within 24 hours, the weather changed to glorious clear skies and warmer temperatures–perfect for embarking on a rugged hike along the scenic Lost Creek. But the clear skies meant overnight temperatures would likely plummet. Unlike our fellow campers, we failed to take proper steps to protect ourselves against 20-degree weather. Consequently, we spent the better part of our last day thawing pipes and dealing with the effects of a frozen gray water valve. Lessons learned! January 24, 2016 in Adventures, Cloud 9, Destinations, Texas Parks.